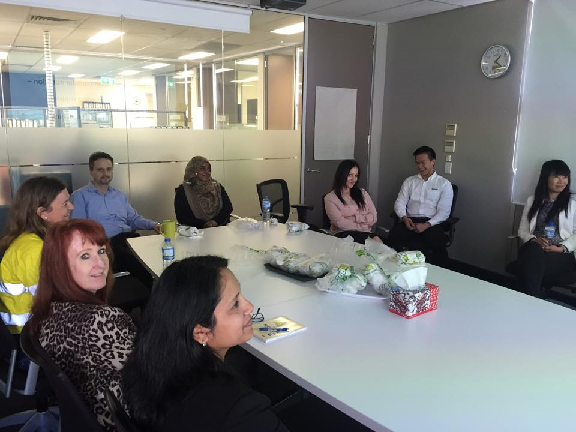 Today the staff at Burton Contractors head office attended a workshop held by the lovely Dr Marc Iseli. He spoke to the employees about the benefits of stretching and moving after sitting down for prolonged hours. 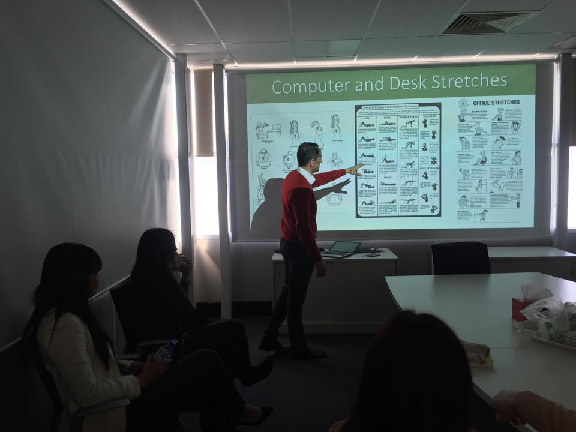 The employees enjoyed the demonstrations with one employee stating, (Andy Bui - Estimating) "it was good to see what exercises I could do right at my desk". Dr Iseli also discussed the benefits of healthy eating and the importance of sleep which in turn can affect an individual's energy level at work. Jessica Newton (receptionist) found the workshop to be "very helpful in increasing energy levels after lunch."